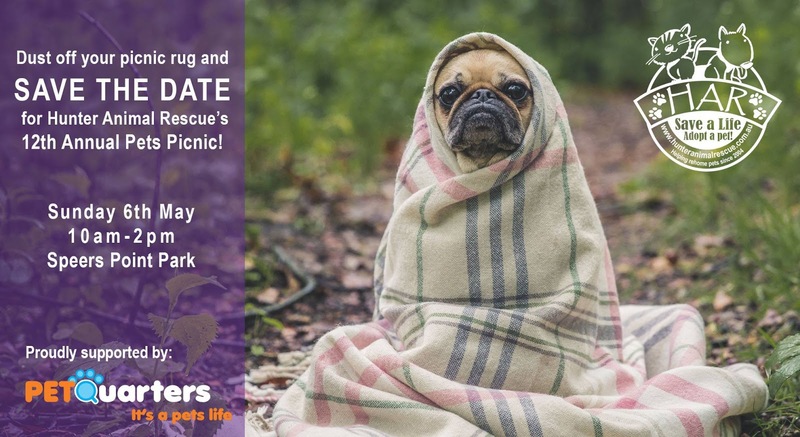 The 12th Hunter Animal Rescue Pets Picnic sponsored by PETQuarters will be held on Sunday 6th May 2018 at Speers Point Park (near Newcastle). With thousands of healthy dogs and cats euthanised yearly, Hunter Animal Rescue emphasises the importance of making an educated decision when it comes to bringing a new four-legged member into your family. “Hunter Animal Rescue’s main mission is to give vulnerable animals a second chance at life. A new best friend is a commitment that will bring you joy and love, and we encourage the people of the Hunter to adopt from a rescue group,” said Hunter Animal Rescue President, Caroline Hawkless. After the 2017 event was first postponed due to extreme heat, then abandoned due to inclement weather, Hunter Animal Rescue volunteers are eager to participate in the day. “We have over 60 volunteers assisting us on the day which will feature a variety of activities including market stalls, pony rides, petting zoo, a jumping castle for the kids, and entertainment” said Ms Hawkless. Hunter Animal Rescue has been operating since 2004 and works closely with local pounds organisation works closely with local pounds and the RSCPA to reduce the number of animals euthanised in these facilities. 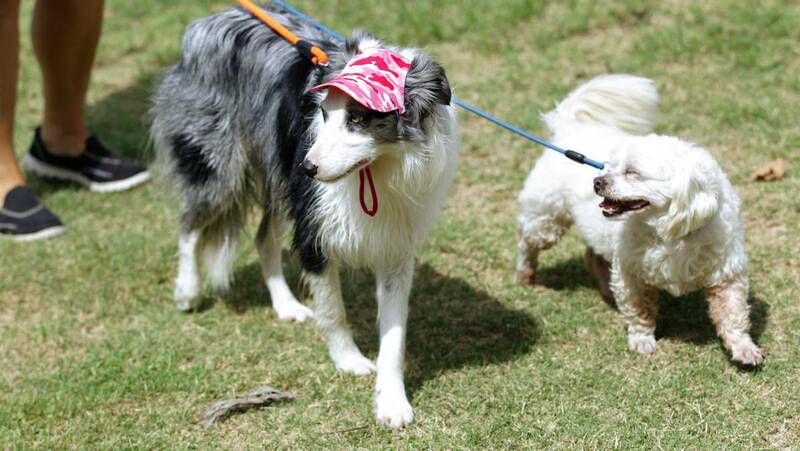 The Hunter Animal Rescue Pets Picnic is a free family event for all ages, and breeds! It will feature market stalls, entertainment and kids activities, as well as competitions for pets in attendance such as Best Dressed and Fastest Eater. Hunter Animal Rescue is a not-for-profit organisation that saves the lives of hundreds of dogs and cats each year. Run entirely by volunteers, Hunter Animal Rescue’s foster carers provide temporary care for dogs and cats in need before placing them into loving adoptive families, while volunteers coordinate events and fundraising efforts to raise much needed funds to continue the charity’s vital work. Where: Speers Point Park, Park Road, Speers Point, NSW, 2284 (17km from Newcastle). 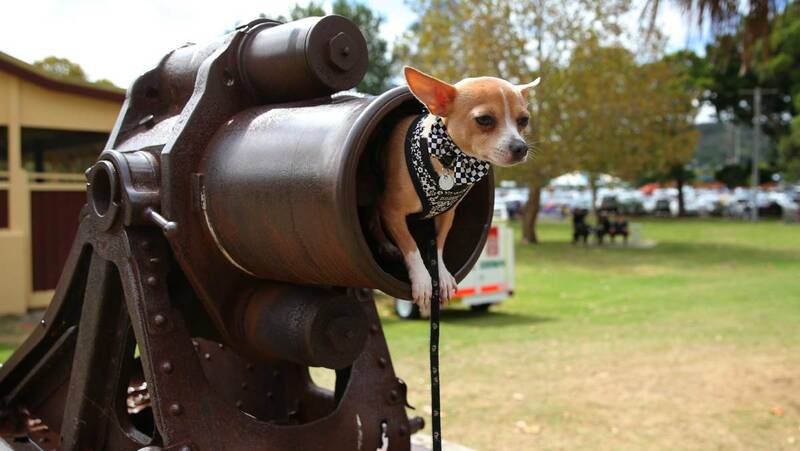 Photo Credit (lead shot): Heisenburg sitting in an old cannon barrel (2016) - Max Mason-Hubers.